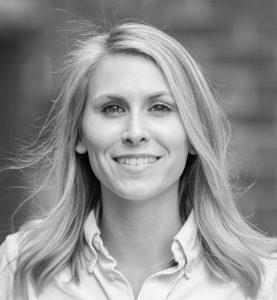 Katie is originally from the United States and joined us in 2017 as a treatment coordinator, bringing invaluable experience from a similar role in an oral and maxillofacial surgery in Fairfax, Virginia. Her dental background also includes periodontics and she worked as a doctor’s coordinator and a special needs care assistant in the US before moving to England. Her role at Portmore is focused on providing patients with relaxed, non-clinical treatment consultations to understand their needs, and in assisting dentists in treatment planning. Katie received a bachelor’s degree in psychology from Kennesaw State University, Georgia in 2012 and she has gone on to receive a range of health administration qualifications that inform her work at Portmore, including certifications on consent, equality and diversity, raising concerns, data protection and customer service. In her spare time Katie enjoys playing football, hiking and volunteering her time to animal charities.